A place to go to learn more about open educational resources and how to get started using them! Open Educational Resources (OER) are "teaching, learning, and research resources that reside in the public domain or have been released under an intellectual property license that permits their free use and re-purposing by others." Redistribute -- copies of the content can be shared with others in its original, revised or remixed form. 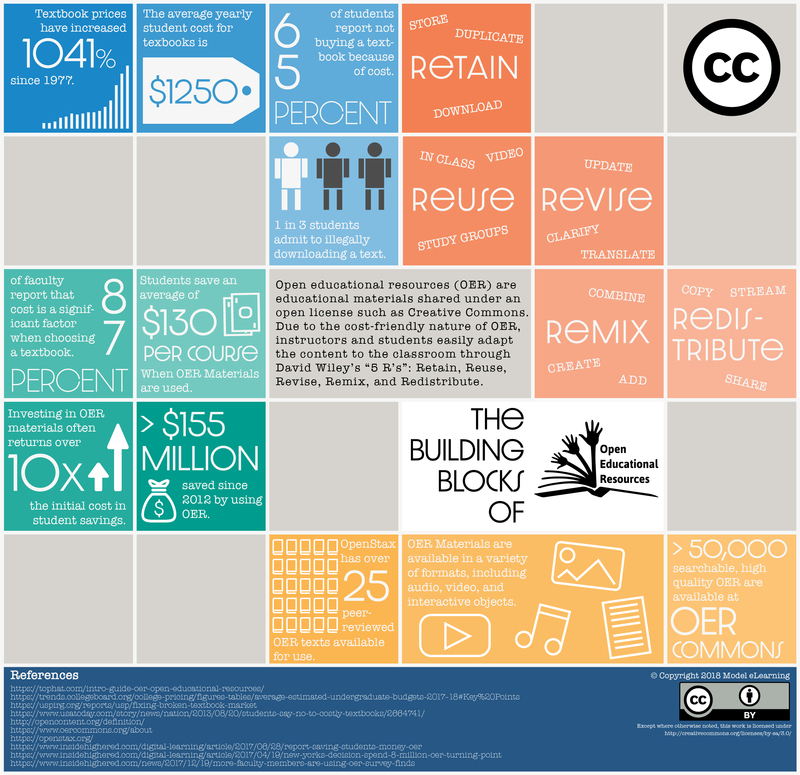 The OER Adoption Impact Explorer helps you understand some of the impacts of adopting OER instead of commercial textbooks. Change the values below to match data from your institution to see how OER adoption can benefit your students and institution. Charts, graphs, and language will update in real time as you make changes. Why Open Educational Resources Matter from Brendan Walsh on Vimeo. Want to Adopt this Guide? Lansing Community College (LCC) Library Research Guide on Open Educational Resources (OER) by Regina Gong is licensed under a Creative Commons Attribution 4.0 International License.